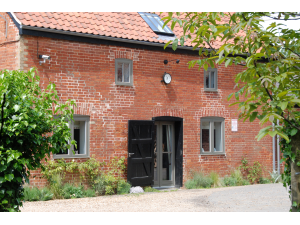 Fullers Hill Cottages Self-cateringJust 20 mins away from Cambridge City Centre, we are perfectly situated for a fantastic balance between a relaxing country affair and an exciting city experience. We are more than suitable for parties, romantic couples, families with children of all ages, dog lovers, business professionals, disabled and less mobile guests. We have the cottage just for you! We at Fuller’s Hill Cottages are extremely pleased to announce our latest addition of a brand new hot tub for The Tack Room garden. This will be for exclusive use for guests staying in this beautiful cottage only. The other three cottages will still have access to the hot tub in the communal garden. So when you hire all four cottages for your Hen Party, Wedding Party or family reunion, you can now enjoy TWO fantastic all singing, all dancing, hot tubs, in two of our lovely gardens along with two BBQ’s! Perfect, for the perfect party! We now offer a complimentary Party Concierge service when you hire all cottages for exclusive use. We can help you plan the most unique, special and bespoke party for the Bride-To-Be and her special Hens, for a family reunion and other special occasions! Please take a look at our new ‘Extras’ page on our website for further information about our breakfast hampers, super boxes, private chef, visiting spa service, on site dog grooming and car valeting, babysitting, party concierge, on site hair & make-up and much much more! After consulting teams from South Cambridgeshire planning department, architects, builders, interior designers and eco-planners we have created four beautiful holiday apartments. Each one has a unique story and each one’s renovation reflects this. We have aimed to create holiday homes that we would love to stay in and we hope you share our enthusiasm and welcome you. Our apartments each feature a functional kitchen, equipped with an integrated dishwasher, kettle, toaster, coffee machine, oven and hob, cooking utensils and cutlery, glass and tableware. The Old Dairy has a washer/dryer and the Hayloft, The Stable and The Tack Room have access to the communal laundry room. In the communal laundry room there is also a large freezer. In the lounge areas we have soft comfortable sofas (the Old Dairy and The Stables feature a double sofa bed for extra guests) all apartments have a large 3D flat screen TV with free-view channels and internet, Bluray DVD player, free WI-FI throughout the apartment and a music docking station. Our bathrooms feature clean modern design with tiled walls and floors, hand basin, shower and toilet. Our beds are dressed with Egyptian cotton linen encasing feather pillows and duvets, on a luxury mattress. In the bedroom areas we have ample storage in the form of hanging space and drawers. Each apartment has a hair dryer, iron and ironing board, vacuum cleaner and clothes dryer. Cots and high chairs are available for free upon request. We also have a hot tub and garden area to relax in. We supply all bed linen, towels, robes and kids ponchos (for the hot tubs! ), toiletries, tea, Nespresso coffee, milk, sugar, biscuits, board games, 2 bikes, cots and high chairs all at no extra charge. Extra beds, such as sofa beds and single camp beds are also free! We have hot tubs, BBQ's and table tennis table. Extras and services available prior to arrival including breakfast hampers, supper boxes, spa service, hair & make-up, babysitting, private chef, party concierge and much much more! Children welcome from any age. Fullers Hill Cottages offers weekly bookings starting on any day.